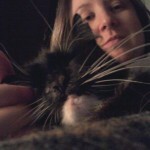 As the caregiver for two senior cats, I know first-hand the challenges that come when our furry companions start to age. 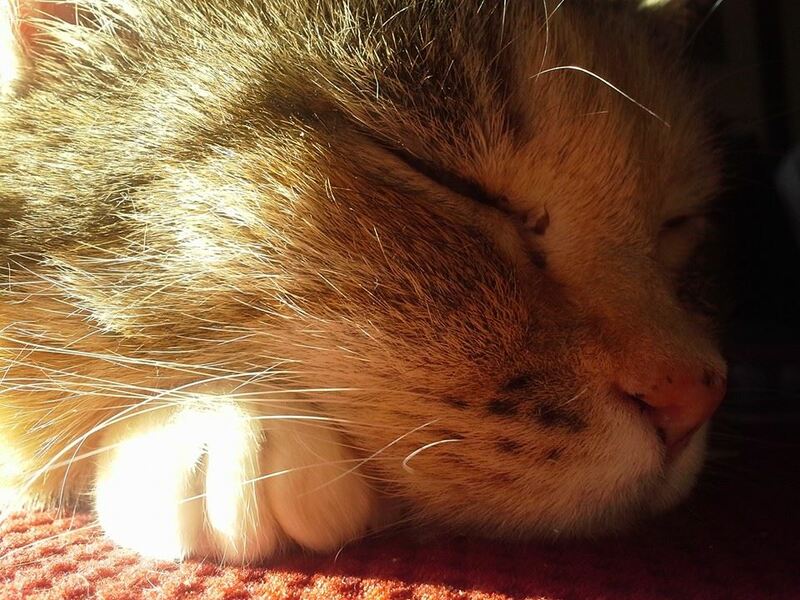 My more elderly cat, Tiger Lily, has become decreasingly active, increasingly arthritic, a little hard of hearing, along with a gracefully tackling a host of medical issues, including hyperthyroidism, hypertension, and an acute onset of vestibular disease. My experience in the animal field has made me a little better prepared than most might be for this experience, but it still a very difficult process to go through. Tiger Lily, happy senior lady, naps. 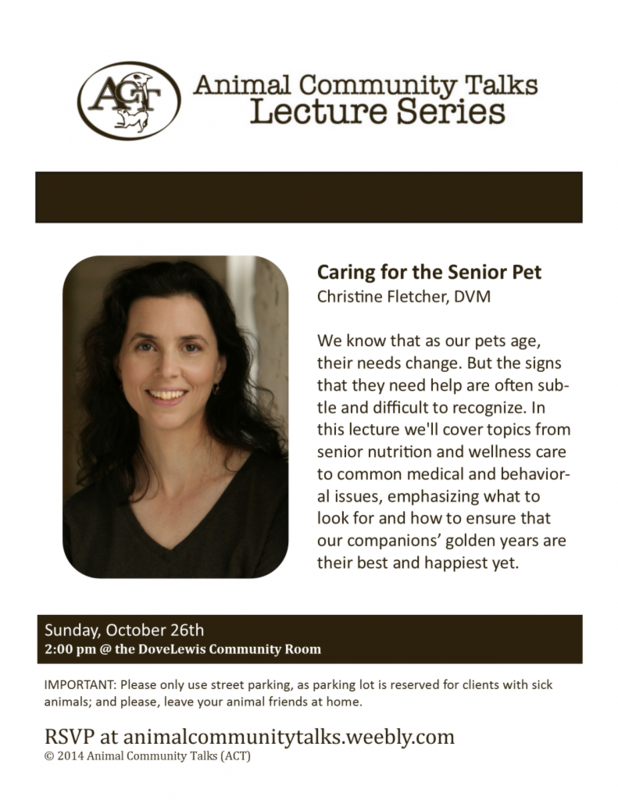 On October 26th, my Animal Community Talks program will be offering an educational event about caring for senior pets. This event is free for anyone who works or volunteers with animals. Our speaker will be Dr. Christine Fletcher, veterinarian at VCA North Portland Veterinary Hospital. If you would like to attend this event, please RSVP here.